Statistically, most hunters enjoy their sport close to home, and many of them never hunt outside their home state. So realistically, not everybody is shopping for a guided hunt. But there's a corollary to that: Since most of us don't do this very often, that makes the search personally more critical when we do, and it also makes it more difficult. Whether blessed or cursed, guys who do guided hunts with some frequency — even every other year — quickly gain experience in navigating the pitfalls. At the same time, it's an opportunity to develop a network of friends and acquaintances to bounce ideas off of. Starting out, it's not that easy. The real goal is to have a great experience and come away with good memories. The good news: Most outfitters are good, honest guys who will try their very best for you. And that's really all you can ask. No hunt is ever certain, and that's part of the charm of our sport. Charming, too, is the fact that "success" in terms of filling a tag isn't everything. We've all had good hunts that didn't culminate in the taking of game. It's also possible to have very bad hunts in which you filled your tag. The real goal is to come away with good memories, and here are five tips that will help in selecting a hunting outfitter. This is the first step. It isn't as simple as deciding you want to try for a big elk or a monster mule deer, although the desired species is clearly a basic step. You also need to think about whether you want a tent camp or more comfortable lodge, a hunt from a 4x4, by horseback, or perhaps backpacking in. Make sure you do a bit of careful self-analysis: Are you in shape for a really physical hunt? Outfitters offering fairly tough hunts usually ask their clients about their health and condition. At a sports show these may be fairly obvious, but not so over the phone or in correspondence. Every outfitter has stories about hunters who, with no advance warning, arrive with serious health problems or physical limitations. Be honest with yourself as well as your outfitter, and only consider hunts well within your capabilities. To do otherwise is simply looking for something ranging from a bad experience to serious trouble. You should also evaluate what you can afford. Most guided hunts for a given species have a fairly broad price range. Factors include facilities and amenities, area (private land elk hunts, for instance, are generally costlier than public land), intangibles like the outfitter's reputation, and sometimes time of year or season. There's no sense shopping for a hunt you can't afford, so you need to establish a budget. There are still some bargains out there. An inexpensive hunt is just that, not necessarily good nor bad, but as you do your research you may eventually conclude that there's a gap between what you want and what your checkbook can handle, and adjustments are needed. While you definitely want to seek out a competent outfitter who has the experience, equipment, and facilities to make your hunt enjoyable as well as successful, choosing the right area is critical. The best outfitter in the world can't do much for you in an area where the game you seek is scarce or nonexistent. So before you even begin to shop for an outfitter, do some research and figure out some good areas for the game you desire to hunt. By sticking within those areas you will greatly reduce the number of outfitters you might wish to contact and make comparisons of. Would you prefer a tent or lodge? Finding the right area is just plain research. The record books offer a great start, telling us immediately where, historically, the big ones came from. In North America Boone and Crockett's Records of North American Big Game is the bible, while Safari Club International's record book is both global and much more recent. Both are useful. Beyond that, outdoor magazines and television, the Internet, and just plain talking to other hunters will help fine-tune your search. There are lots of ways to find good outfitters. Given a choice, word of mouth — a personal reference from someone you know and trust — is one of the very best ways. But not all of us know someone who has had a great experience hunting the three-toed gazork, so other means are required. Sports shows and hunting conventions are great; you can talk to outfitters face-to-face, ask questions, and decide if you like the guy. But not all good outfitters attend shows. 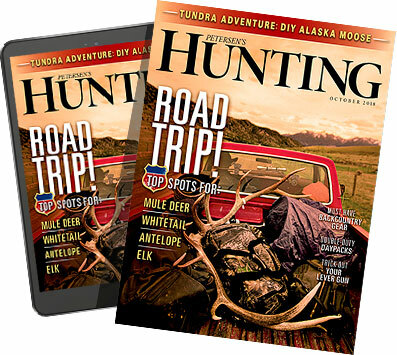 The Internet and "where-to-go" sections in outdoor magazines are thus also very good resources. Whether you meet your prospective outfitter personally, over the telephone, or by email (nobody still writes letters back and forth, do we? ), don't be afraid to ask the hard questions. After all, it's your money and your decision whether you should hire this guy. Does he actually have full and legal access to the hunting areas you need for the game you seek? Does he have the appropriate guide or outfitter licenses in the area he proposes to take you? For me, a "nonresident outfitter" is always a major alarm bell. Mark Haldane and Craig Boddington, Mozambique buffalo. If he's outfitting in a different state or country from his own, does he have the local knowledge you need (as well as the legal authority)? Many good guides and outfitters operate far from their homes, so this isn't a deal-breaker&apos;¦but it leads to questions that should be answered satisfactorily. Does he belong to his local guide/outfitter association? Or, if there isn't one, how about the International Professional Hunters Association (IPHA) or African Professional Hunters Association (APHA)? Does he belong to and support conservation groups like Safari Club International, Dallas Safari Club, Wild Sheep Foundation, Rocky Mountain Elk Foundation, and so forth. There may be good personal reasons for not being so connected, but you're within your rights to ask. Once you've narrowed your search a bit this may be the most important step of all. No matter where or how you find a prospective outfitter, always check references. Do this with a grain of salt: No outfitter will give you a bad reference, and if you find an outfitter who gave you an unsuccessful reference, you're probably onto a pretty good situation. But you should assume that the references you are given represent hunters who had successful hunts. Nepales outfitter Mahesh Busnyat, one of the best! So your questions, preferably over the phone, should go beyond that: How was the camp? How much game was seen? How many other hunters were in camp, and how many of them were successful? When was this hunter there? In his judgment was that a good time, or did it appear that some other time frame might be better? You can short-circuit a lot of research by calling a hunting consultant or "booking agent." Keep in mind that this person wants to sell you a hunt (as do outfitters), and will take a commission from the price of the hunt. So it's business. But booking a hunt through a good agent is sound business. An experienced agent has already done the research and, hopefully checked out the area personally (ask, right?). The agent is staking his or her reputation on your satisfaction, so while everybody makes mistakes, it doesn't make sense for an agent to send you someplace where you won't be happy. Also, and especially in the case of foreign hunts, an experienced agent is there to shepherd you through the process, answering questions and assisting with details, while the outfitter is likely to be out in the bush and out of touch. On initial contact a good agent can also assist you in determining the kind of hunt that you want and is right for you, which sometimes isn't as easy as it sounds. There's just one caveat: go back to step four: check references.